Noble Goat™ products deliver the nutrition and performance you expect. 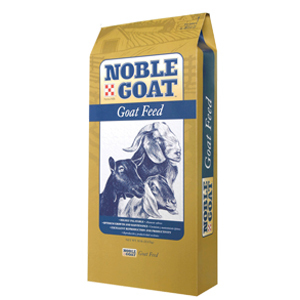 Try Noble Goat™ Grower 16 and see the difference it can make in your goats’ overall growth and health! Feed as the sole diet to growing goats from weaning to desired weight. Feed at a rate of 0.25 to 2.5 pounds per head per day along with good quality grass hay. Can also be fed free-choice to high-producing goats on range or under dry lot conditions after they have acclimated to this ration. These are only guidelines for consumption. Some goats may have a tendency to go off feed. When this occurs, feed long stem grass hay for two to three days then continue feeding NOBLE GOAT™ GROWER 16. Feed consumption will vary with life stage, environment and activity. Always provide adequate amounts of fresh, clean water. Do not allow horses or other equines access to feeds containing monensin. Ingestion of monensin by horses has been fatal. Note: This product contains copper and should not be fed to sheep. 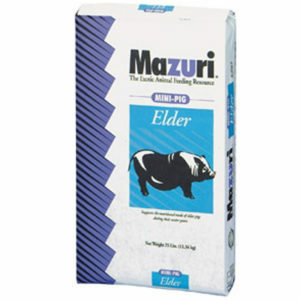 This product is available regionally, so please check with your local Purina Mills dealer for ordering details.